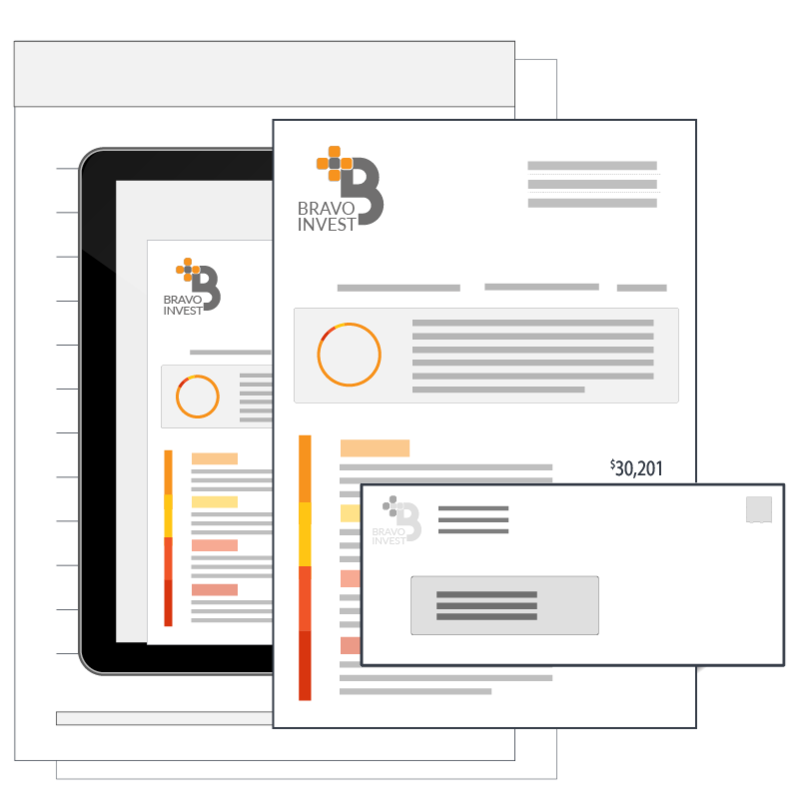 For companies with low volume report generation or fluctuating document generation needs, we recommend our Pay-per-Page subscription option. Pay-per-Document offers a set number of designer installs and pricing is based on the number of reports generated, irrespective of the number of servers used. A Feature Set that Leads the Industry and Nobody Can Touch. Compared to alternative solutions, Windward Studios provides superior results and an unmatched user experience. Don’t just take our word for it--our industry-leading product features bring our customers back year after year, with a 95% customer retention rate. Rest easy knowing that you don’t have to be a developer to use the Windward Designer. You won’t even need any training, because templates can be designed and edited using a platform you already work with – Microsoft Office. Enjoy complete control in designing your document with add-ins to Microsoft Word, Excel, and PowerPoint to incorporate the precise design elements you want: custom pages, graphics, fonts colors, rotation, spacing, and effects. 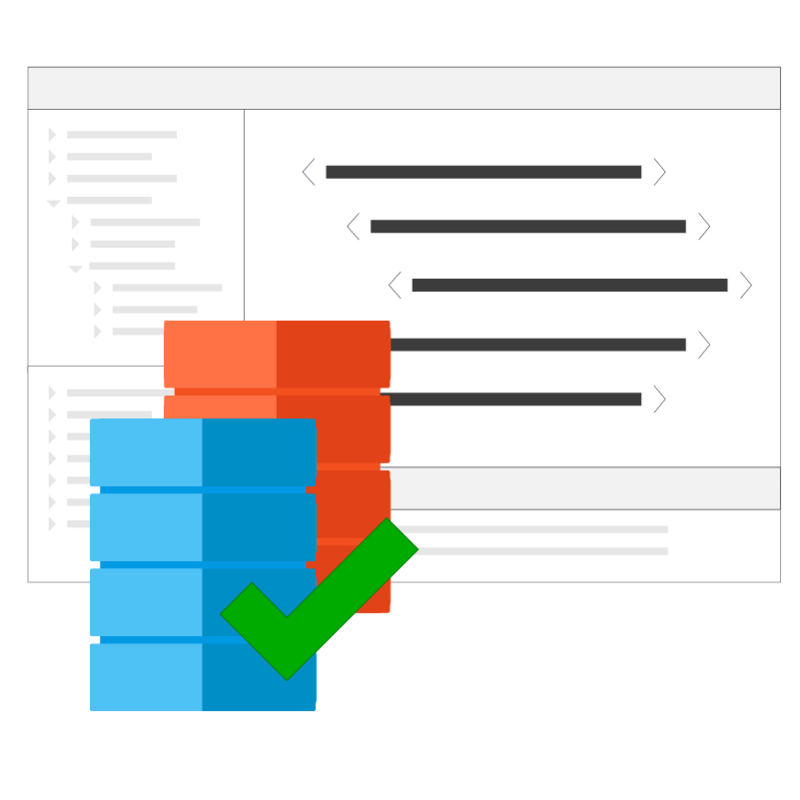 Powerful in-line data tags (forEach, if, switch, out, chart, and more) insert conditional logic to customize your output to meet your specific document needs. Unlimited user-defined variables and interactivity options (link, sort, filter, pivot, and more) offer various levels of complexity to match the needs of your business. Organize and better manage data with data source/field viewer and data tag viewer. There’s no need to change your current applications to use the Windward Designer. 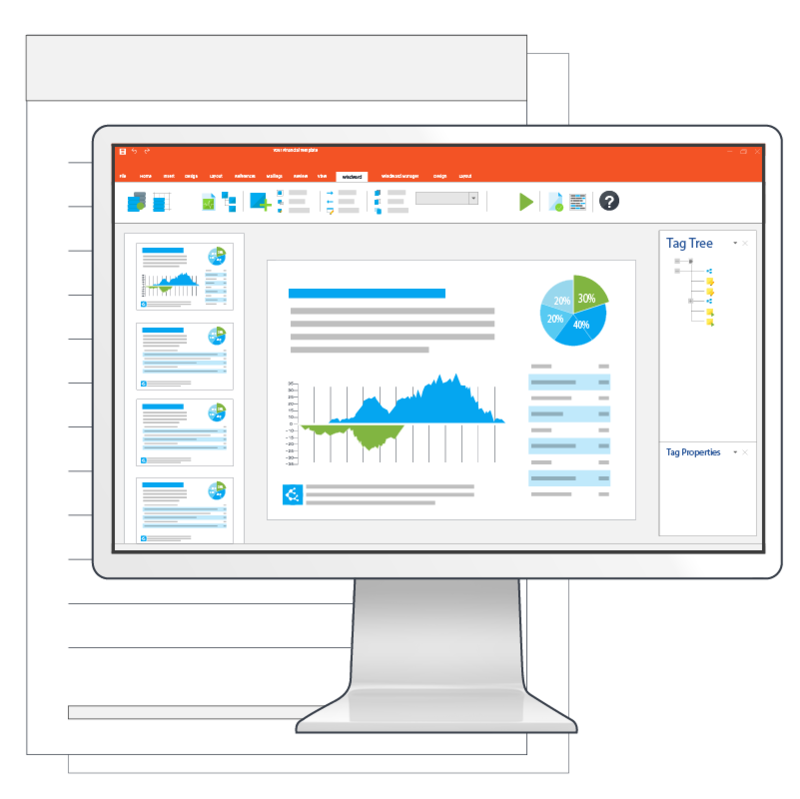 Connect to all data sources from the Designer environment and easily integrate Windward into your business solution portfolio. Automate and scale your document generation process with reusable user-defined elements and data connections (PODs). Intermix data from different data sources easily and quickly. Our Data Wizards make it easy for non-technical users to create data queries from the datasource with simple drag and drop actions. 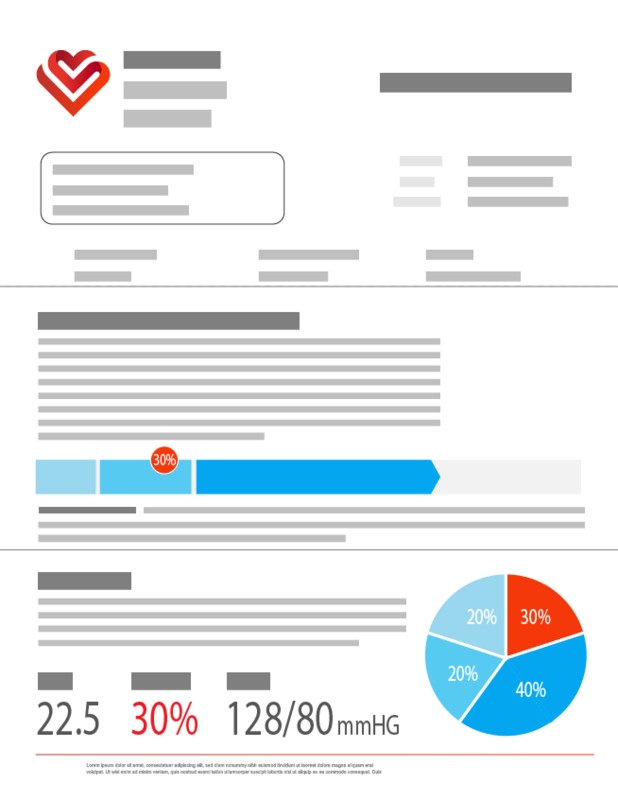 Users appreciate powerful document reusability with the ability to import templates as sub-templates. Trust the quality of your documents with our error validation and verification alerts and tools. Version control and document editing are easy to manage with Microsoft Office’s track changes, comments, password protection, and document element locking. 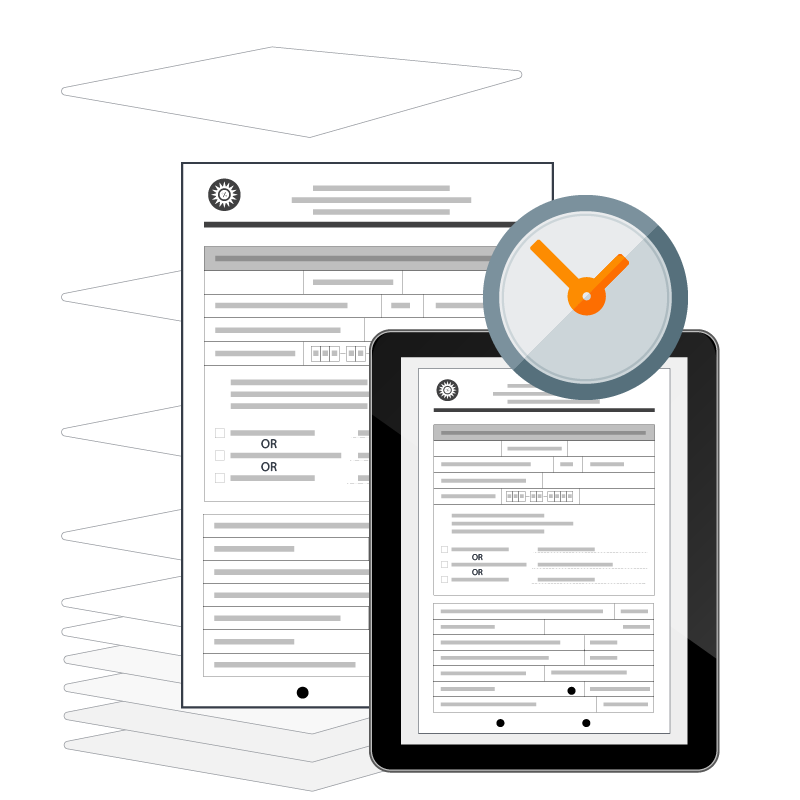 Customize your documents with third-party app add-ins, such as digital signatures, QR and barcodes, maps and more.